Signs, banners or posters: whichever type of large ­scale print you’re making, it’s important to ensure that it stands out from the crowd—and not in a negative way. To create a print that makes people take notice, you’ll need to choose the right images, colors, and fonts—and you’ll need to fit everything into a balanced design. It’s also helpful to understand the difference between vector images and bitmaps, CMYK versus RGB colors, and more. Because our modern world has become so reliant on digital processes, it can be easy to overlook some important differences when preparing a document for large scale print. Here are five tips that will help you avoid the most common challenges to large­ scale printing. 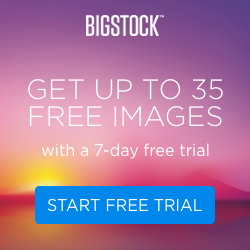 For large­ scale prints, use vector images wherever possible. Vectors work a little differently from JPEGS and other bitmap formats. Unlike bitmapped images, vectors aren’t comprised of individual pixels assigned with a fixed location and color value; instead, their shapes, lines, and colors are defined by mathematical equations. This means that no matter how large you scale a vector image, it will stay sharp. Bitmaps, on the other hand, will have a jagged, blocky look if you scale them too far. 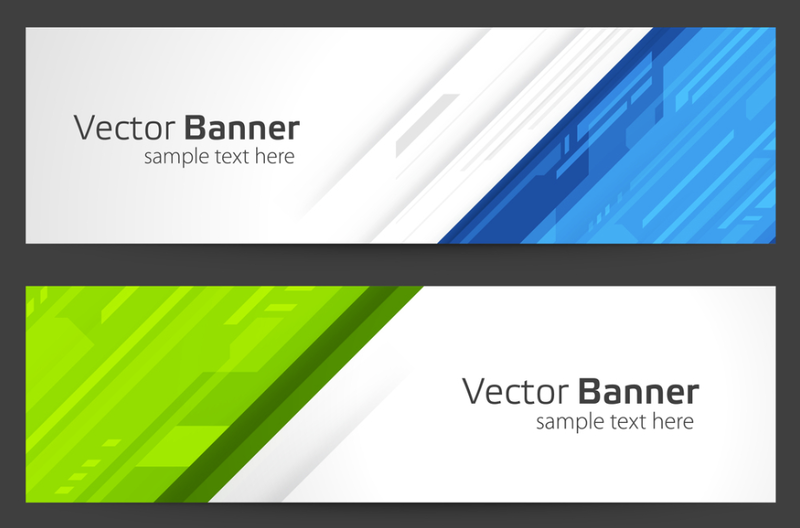 Vector banner image by VikaSuh . Most large ­scale works are meant to be viewed from a distance, which means you’ll need to choose fonts not only for style, but also for readability. Many people find script styles and serif fonts more difficult to read, but some sans serif fonts pose readability challenges, too. Sans serif fonts with wide spacing between letters make the gaps between words less obvious. Fonts that crowd the letters together make it harder for people to distinguish between individual letters. Fonts that are too bold tend to look crowded. Fonts made with very thin lines tend not to stand out from the background. If you want to test a font for readability, back away from your computer’s monitor and read the text from a distance. Better yet, have someone who is unfamiliar with what you’ve written do the reading to see if he or she has trouble with the text. The other consideration is the platform you are working with. In general, it’s best to use a cross -platform font (one that is available on both Windows and Mac OS) so that you can guarantee your fonts will display properly if you need to transport your file to a client, print shop, or someone else who runs a different operating system from your own. Examples of cross­-platform fonts that are easy to read at any size include Arial, Georgia, Times New Roman, Trebuchet, and Verdana. As with fonts, viewing distance is a key consideration when choosing your colors. Pick a background color that contrasts nicely with the text and graphic elements to ensure that viewers can read your banner or sign easily. Another trick is to keep the color scheme simple; in most cases, two or three colors will suffice. However, if you’re making something that people will stop to read—like a movie or event poster—you can definitely use a broader palette. Another mistake that people make regarding color is that they neglect to set their design software to CMYK mode rather than the RGB color space. RGB features more colors, but printers use CMYK colors. 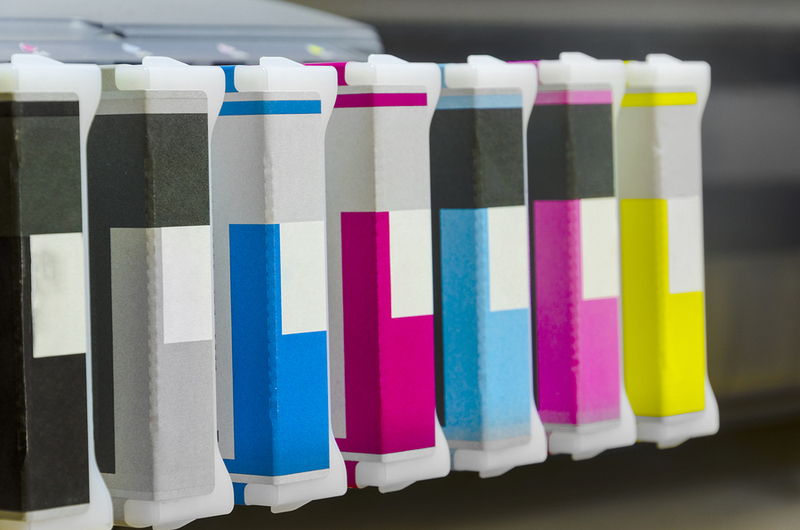 Using CMYK ensures that you’ll have more accurate color rendition when you make the large­ scale print. If you’re using Photoshop, choose “Image>mode>CMYK color” to switch over. 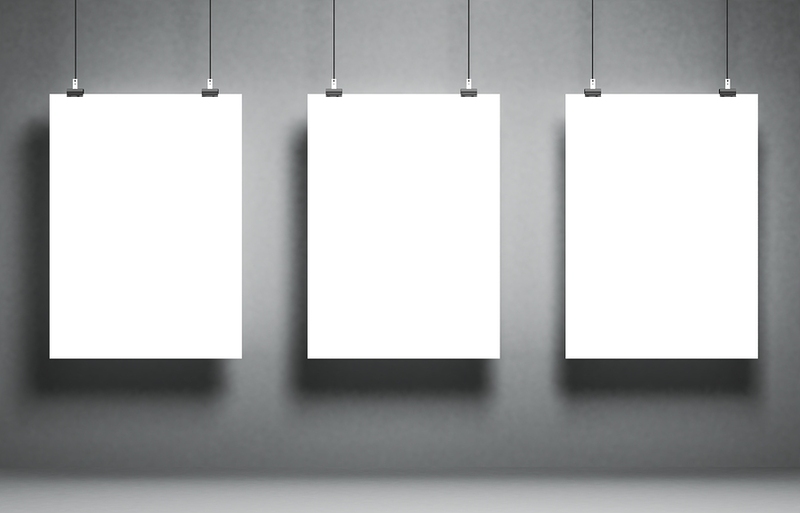 Stock image of blank white panels by 3DProfi . Banners, signs, and posters all have one thing in common: they’re meant to be read and absorbed quickly as people move past them. This means that you shouldn’t clutter your print with tons of graphics and text. However, if you want to grab people’s attention, your design shouldn’t be too sparse, either. Use only a few well-­placed graphics. Maintain plenty of space around each graphic so that you don’t overload your viewers with information. Feel free to use simpler graphics like line drawings and stylized logos or artwork. Compared to intricate designs, these kinds of images are easier to understand at a glance. Go easy on the text. For banners and signs, a headline and a subheading or a few short, simple sentences should be enough to get your point across quickly. Event posters are a common exception, requiring extra details like dates, times, and locations. 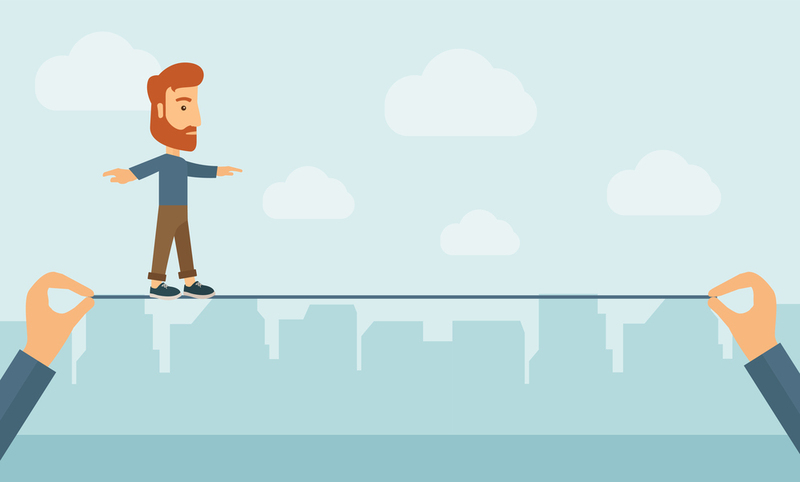 Stock image of man balancing on wire by RaStudio . Page bleed is another element of large­ format printing that is easy to overlook, but fortunately it’s also easy to fix. Bleed is a printing term that means a document’s image or color goes right to the edges of the paper. When you leave space for the bleed, you’re giving the printer a margin of error to work with. Otherwise you’ll need to print it on larger paper and then trim it. Ensure that nothing is lost to the bleed by factoring between 3 and 5 millimeters of space on each edge. Fill this area with your background color, but make sure that text and graphics don’t drift into this area – or you may lose them during the printing process. Compared to your average document, large­ scale prints are time consuming and costly. Use these tips to make sure that you get that print right the first time. Header image – large format printing cartridges – by Bigstock contributor Zefart.